After years of customer requests and months after queso dropped in Chipotle's Manhattan test kitchen, the brand-new Chipotle queso is rolling out nationwide on Tuesday, September 12th! A snapchat from my GM on the day queso arrived. 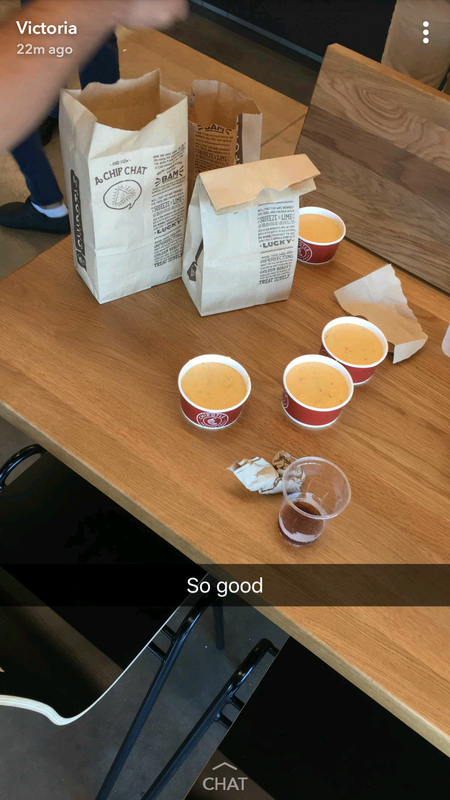 Well, I work at a Chipotle, so I've been eating the queso for a week now (you have to know what you're selling!) and to be totally honest, it's awesome. Our queso has a different texture than most melted cheeses, because instead of using preservatives and other unhealthy ingredients that go against our credo, our queso stays runny with tapioca starch and pure heat. It is, dare I say, revolutionary in the melted-cheese world. The queso has a bite to it, in a good way. There are peppers and spices mixed in so it doesn't just taste like melted cheese. Of course, all the ingredients are fresh, as per usual. I'm not the only one who likes it! Queso always feels indulgent, and how could it not? It's literally a cup full of cheese. But this is the first time I've felt (kind of) healthy drowning my burrito bowls in spicy, melted cheese. 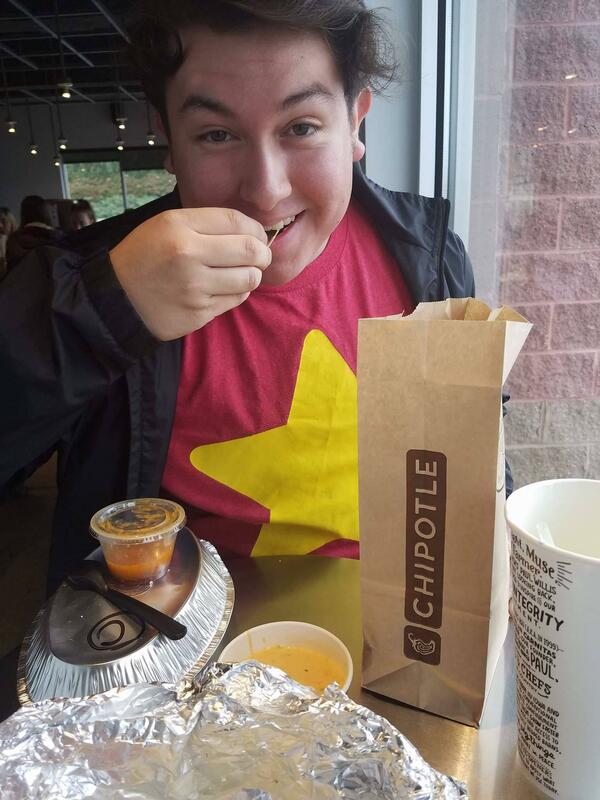 Go to your local Chipotle this week and try it! Queso will cost extra (I'm sorry). But it'll be available on your food, with your chips, or completely on its own. Take it from an employee–you do NOT wanna miss out on this historic Chipotle addition.